Website Design Stafford Virginia | In 2014 EPM based in Stafford VA, searched online for web design companies in Virginia and found VISIONEFX. Having reviewed our extensive portfolio of website design for GSA consultants, GSA contract holders, they chose VISIONEFX to redesign their website. 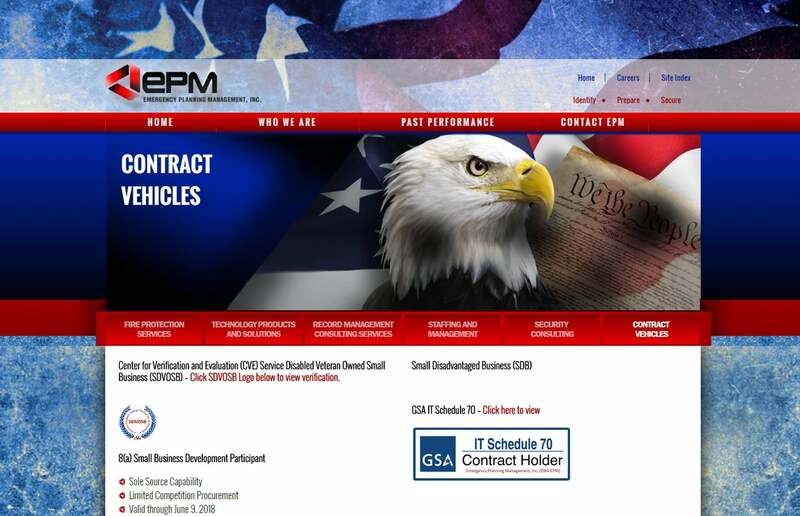 EPM wanted to have a bold, wow-factor design that caught visitors’ attention the moment the homepage loaded. To meet this requirement, our web designers used rich web safe colors and textures reflecting a powerful USA patriotic theme. When searching Website Design Stafford Virginia look no further than VISIONEFX for all of your website needs.